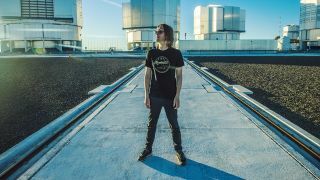 Steven Wilson has announced that he’ll release a concert film titled Home Invasion later this year. It was recorded on the final night of his trio of shows at London’s Royal Albert Hall in March this year and will launch on November 2 via Eagle Rock Entertainment on Blu-ray, DVD, Blu-ray/2CD and DVD/2CD. A deluxe 5LP vinyl set will follow in March 2019. Wilson says: “Home Invasion captures the final night of my three night March 2018 residency at what is probably my favourite venue in the world, the Royal Albert Hall in London. “The full performance is included, and it looks and sounds absolutely fantastic, everyone involved working incredibly hard to make this a really high quality release in all departments, and to capture the visual elements of the show – plus as you would expect with a show presented in quadraphonic sound audio options also include a surround sound mix. To mark the announcement, Wilson has shared a trailer for the release, which can be found below along with the Home Invasion cover art and pre-order details. Wilson will head out on tour again later this year in support of his latest album To The Bone. The dates will stretch into February next year.